Playwright Silverman debuts with an audacious collection of 11 arresting interconnected short stories. These narratives can stand alone but take on deeper significance together… Silverman creates a harsh, seductive world that is both more and less than it seems, showing how deeply people will deceive themselves to believe they’ve found connection. Silverman’s winning stories are varied and always engrossing. In a book filled with memorable characters, Silverman's sharp sense of place, her eye for telling detail, and her pitch-perfect dialogue tumble these stories through their interlocking narratives with great brio.... A shimmering collection that speaks with humor and, ultimately, tenderness about people whose lives rarely allow for either. All of these stories are told from a first-person point of view, but each narrator is distinct; some we’ve met earlier as secondary characters in other stories, and the inside view yields satisfying insight… These stories are irresistible, delivering a portrait of contemporary relationships that, although bleak, is shot through with veins of real connection. The eleven stories that make up this collection are raw, intense in their longing, and tender in the most unexpected ways. Each one a light on its own, in spite of the violence and darkness that they hold. While some can elicit a chuckle or two, these stories also emanate fear, fury. A longing to tether oneself to a person, or a yearning to be freed up from whatever binds them, a need to vacate the island. Whichever it is, Silverman shines in this collection the way sunlight hits the surface of water, forming rivulets of gold. 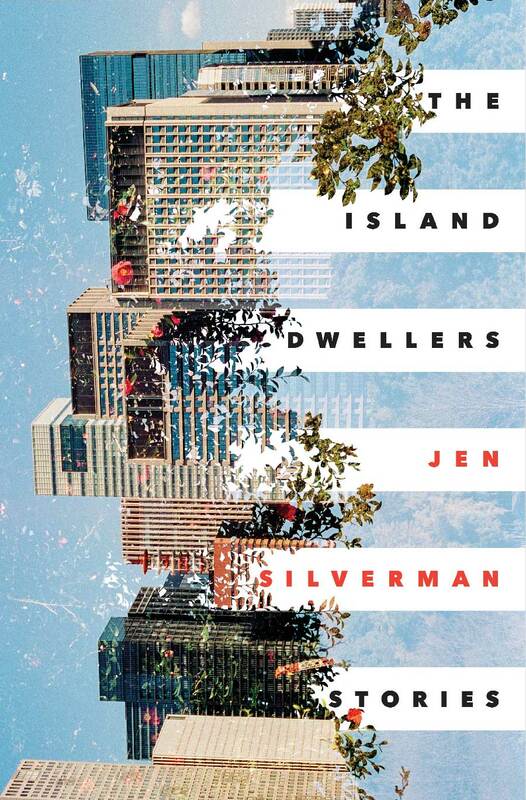 With this debut collection, Jen Silverman reveals herself to be an expert at chronicling the loneliness of the human condition, the strangeness of displacement, and the surrealism of not belonging. She writes with stunning simplicity about people wrestling with their true selves, misfits who don't feel at home, no matter where they are. As a result, The Island Dwellers is witty, unexpectedly funny, and incredibly sad. The playwright and television writer’s debut collection, which came out in May, features interconnected stories about the complexities of intimacy. In the lead story, “Girl Canadian Shipwreck,” a woman dates a performance artist whose political activism includes not believing in shampoo. She leaves him. “He cries, because he’s in touch with his feelings and because he rejects society’s mandate that men can’t grieve,” she writes. “He explains this in one of the many voicemails that he leaves for months after.” In “White People,” a married couple breaks up and then competes over whose rebound relationship is better. When the husband’s new girlfriend leaves him, he calls his wife. “She said that I had mansplained her period to her,” he ​says before coming home.